Yiwu Bohua Jewelry Co., Ltd. Packing 1pc/opp bag + 12pcs/big opp bag + standard export carton with bubble wrap Main product Italina jewelry, Kovtia jewelry, 925 silver jewelry, crystal and diamond jewelry Customized style Welcome , we can make different styles jewelry as your request Wholesale web Packaging & Shipping About us: 1. We are professional manufacturer of fashion jewelry, and specialize in high-end jewelry for 11 years. 2. Most of our jewelry is made of copper plated with gold and AAA zircon,zinc alloy plated with gold and Austrian crystal, and made of 925 sterling silver, high quality, competitive price. 3. We can produce OEM styles according to your own design and requirements. Our product range unveils beautiful array of gemstones, pearl, lava , and other such finely assorted jewelry items. * To ensure that your order reaches at the earliest and in the best condition, we rely on reputed Shipping agencies. Note:- International Buyer- Please Note: Import duties, taxes and charges are not included in the item price or shipping cost. Yiwu Ailisi Jewelry Co., Ltd.
jade jewellery wholesale trendy white natural gemstone Hetian jade silver drop tassel earrings in 925 sterling silver jewelry Pls add our wechat: MEDBOO , any style we can make it for you, just providing samples or pictures, gold jewelry 1pc MOQ, silver jewelry 30pcs per style MOQ, welcome to cooperate with us! Our factory is specialize in making gold and silver natural gemstone jewelry for more than 15 years, products including gold and silver inlaid natural gemstone jewelry and natural crystal beads jewelry, factory about 3000 square meters, located in Panyu district Guangzhou China, which has a famous name of "The Worlds' Jewelry City". Yiwu Gbay Jewelry Co., Ltd.
Yiwu Yise Jewelry Co., Ltd.
Alibaba.com offers 4,158 jade earrings products. About 59% of these are earrings, 16% are silver jewelry, and 7% are copper alloy jewelry. 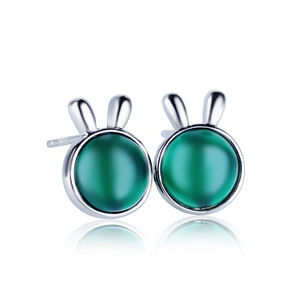 A wide variety of jade earrings options are available to you, such as anniversary, gift. You can also choose from women's, children's, and unisex. As well as from silver, alloy, and jade. And whether jade earrings is earrings, or rings. 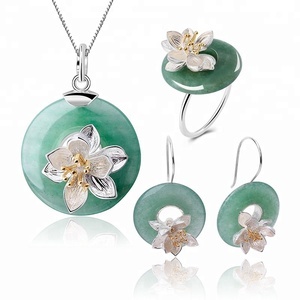 There are 3,982 jade earrings suppliers, mainly located in Asia. 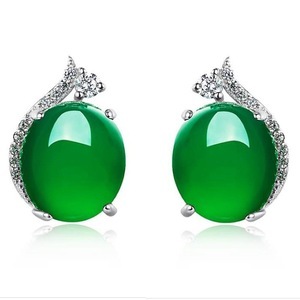 The top supplying countries are China (Mainland), Turkey, and India, which supply 76%, 11%, and 9% of jade earrings respectively. 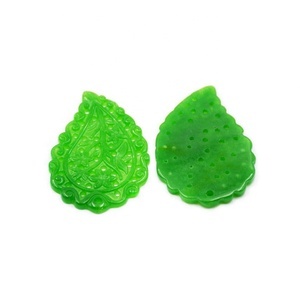 Jade earrings products are most popular in North America, Western Europe, and South America. You can ensure product safety by selecting from certified suppliers, including 304 with Other, 47 with ISO9001, and 13 with OHSAS18001 certification.